Cute jute tote bag for spring and summer travels or heading to the beach, featuring large front text... VACAY. A sustainable jute-cotton blend fabric with a metallic silk screen.. A fun and eco-friendly bag. 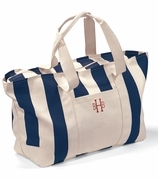 Classic white stripe with clean lines, cotton rope covered web handles. Includes three letter accent monogram with purchase. NOTE... 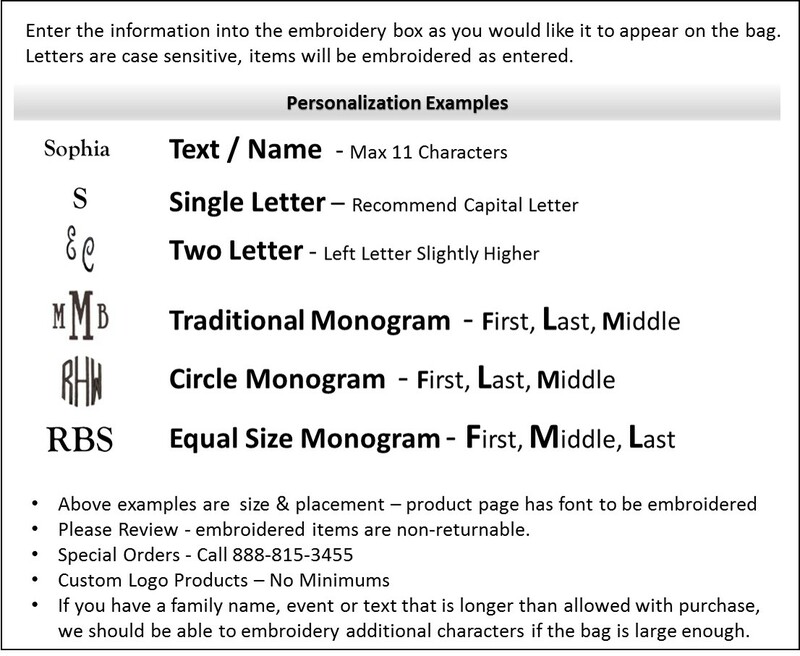 THIS BAG WILL FEATURE OUR NEW 1 1/2" ACCENT MONOGRAM. Jute tote bag measures 18"W x 14"H, a generous twelve inch wide bottom. Open tote. I ordered 3 bags for my daughters wedding attendants. They arrived just as pictured, seemed sturdy and well made. They have an inner plastice lining as well. We ordered the embroidered name in script, gold colored. They were lovely. Both my daughter and I were satisfied with bags as a gift for the bridesmaids. I would recommend them to others. Wow. These bags are amazing in both style and quality. We elected to change the thread color of these bags, and they turned out so beautiful! Extremely satisfied with my purchase! Their customer service is also impeccable.